A holiday memoir for bikers, written by Bartek from Poland – thank You Bartek for sharing Your memories! Vodice is my favourite Croatian town. 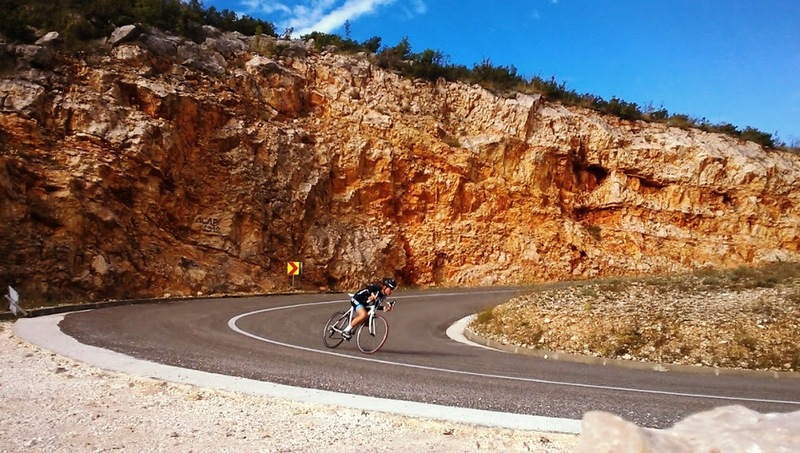 This charming place, situated in central Dalmatia is most certainly a good place for two wheels lovers. One of the arguments for choosing Vodice for biking is its localization. The town is surrounded by versatile terrain forms, which is important, because it allows for recreational flat terrain riding as well as a solid mountain training. 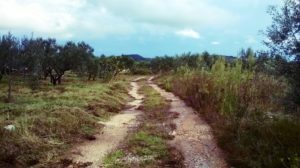 Regardless of the type of Your bike, both mountain and road bikers will find tracks suitable for their needs and skills. 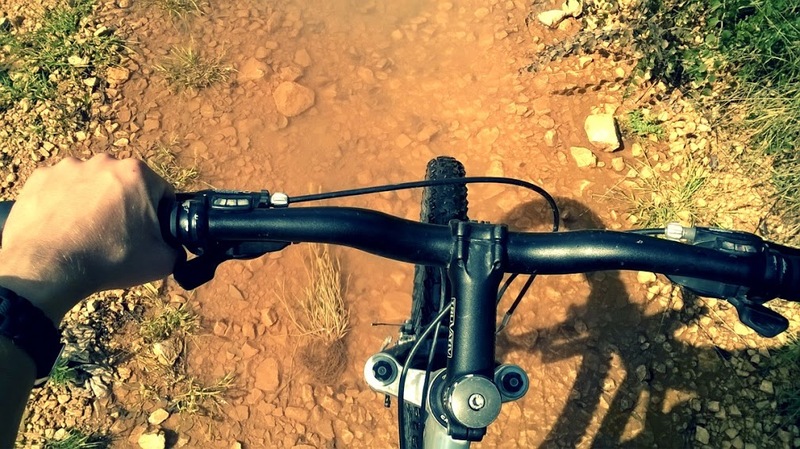 Personally I train road cycling, so I cannot say much about off-road riding. Several times, using mountain bikes available in Kałuża apartments I went to ride in terrain. The available bikes are suitable for recreational trips only so I You plan some serious mountain biking, I recommend taking Your own bike. Vodice is surrounded with many gravel roads, leading over smaller and higher hills. 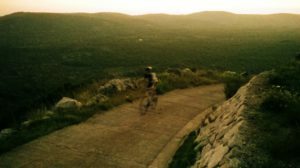 After having driven many kilometers on surrounding roads, I can say that Vodice is a suitable place for traditional cycling. There are several demanding approaches in the area suitable for training. Most of these are located in Krka National Park Area. Other, less demanding approaches are situated closer to Vodice. In the neighbourhood I recommend the 500m very steep approach near the church, just at the outskirts of Vodce route. Second, longer but also steep approach leads towards the relay station / tower. Some other approaches are situated on a close-by island of Murter. 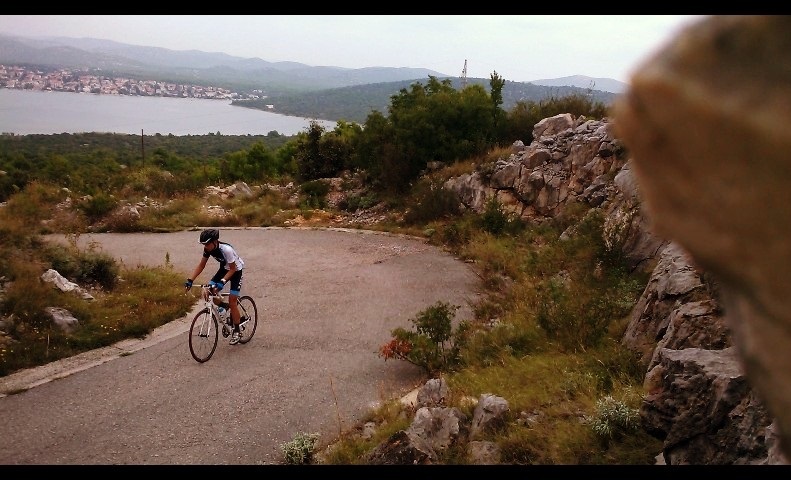 The terrain around Vodice is also suitable for time trial training. After the hard trainig, relaxation is also required, so the fact that there is a swimming pool at the apartment helps here a lot! As for bicycle tourism, I can say that You should be delighted. There are some great vantage points around Vodice and some interesting monuments to see. What I find important is very good road quality and limited car traffic. I did also find the driving culture and bike awareness on a very high level in Croatia, far beyond what I am used to at home. Another important aspect is the weather – the climate is really appropriate for cycling, allowing for training in spring, summer and autumn. Summing up, I think that a stay at Paradis apartments is a perfect option for biking holidays or even organizing a small biking group!